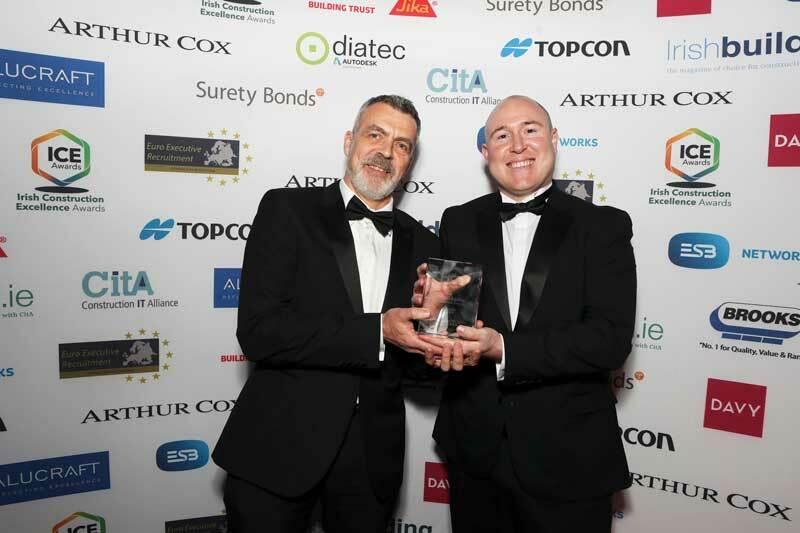 The 2019 ICE Award Winners were announced at the Gala Awards Event in the Round Room at the Mansion House, Dublin, on Friday 29 March. True Construction Excellence is not just in the presentation of the end product, but in every process utilised through each step of the project leading up to its completion. It is in the design realisation of not only the Clients brief but their business requirements. It is in the building of a multidisciplinary team of professionals from Project Manager to Architect to Management Contractor, who collaborate with a single goal of providing the Client with the best possible building. It is the on site build process always evolving in terms of ensuring industry leading performance in safety, quality, commercials and programme. 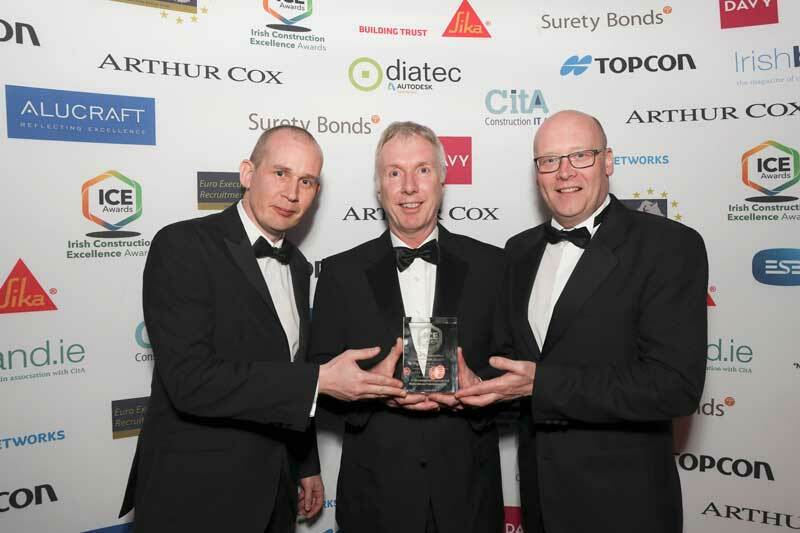 It is the pride of those involved from the Client to the tradesmen in wanting to be part of and deliver a world class building. 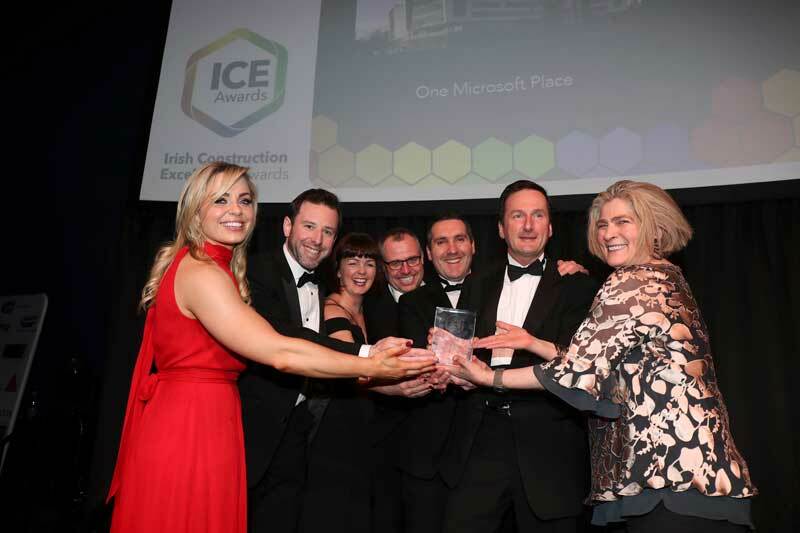 LinkedIn’s EMEA Headquarters’ was one of those rare projects where the passion, pride, ability, and commitment of all parties from LinkedIn to the Design Team to Walls Construction Ltd to works package contractors came together to achieve Construction Excellence and a worldclass facility that delivers the quality, appearance and business functionality demanded by a global leader such as LinkedIn and which can be witnessed daily by the workforce and those visiting LinkedIn’s EMEA Headquarters building. The BMS LSCC Biotech project was for a time the largest pharmaceutical project being undertaken in Europe, with the site peaking at over 2,200 people. 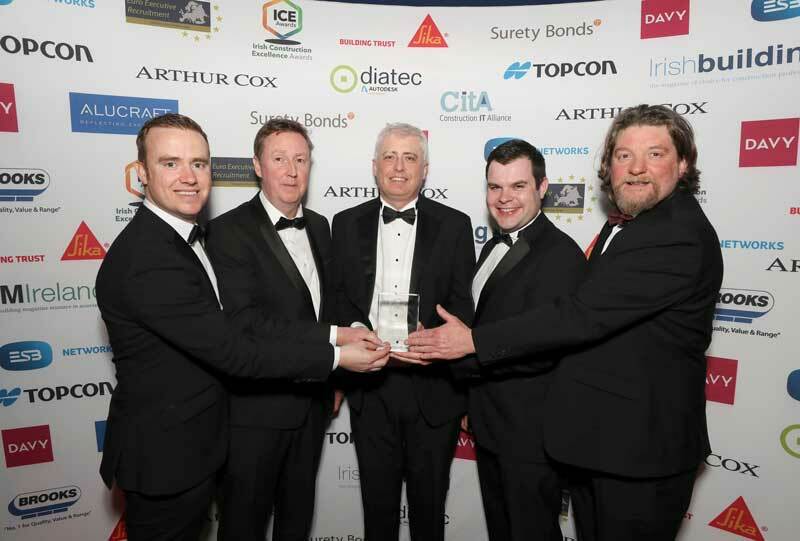 The project delivered an exemplary safety record with over 6,500,000 site hours worked to an extremely fast‐track programme across numerous buildings/areas with Mechanical Completion being achieved for the manufacturing facility within 26 months of start of Detailed Design, which coincided with the start of construction. Jacobs delivered the project within the project’s budget employing state‐of‐the‐art project/construction management techniques and tools throughout the project life‐cycle. The facility now serves as a much sought‐after Employer in the area and provides a comfortable, aesthetic work environment for employees. The project team is especially proud to have achieved LEED Silver rating for the LOC/LSCC buildings. 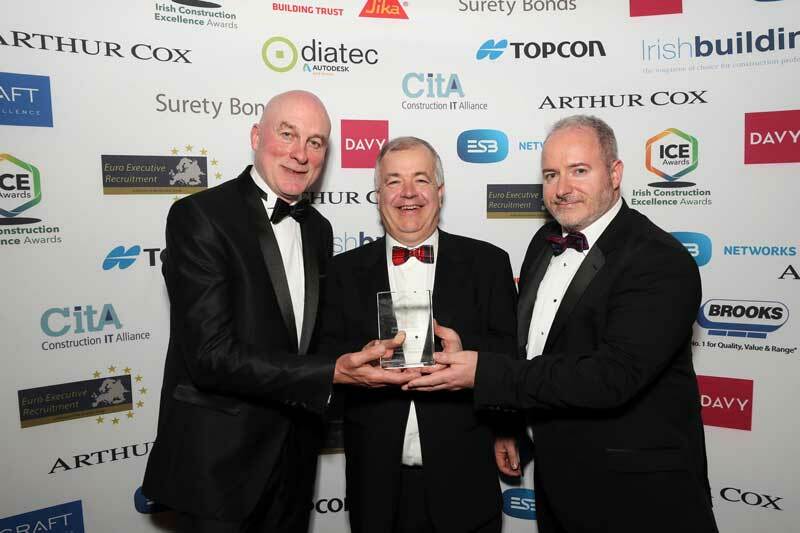 However, most importantly the facility is now in the final phases of qualification to deliver a powerful life‐saving, cancer treatment (Opdivo) to patients in Ireland and globally. For the many people who collaborated in delivering this project, this will no doubt be regarded with pride as one of their key career achievements. The project demonstrated an exemplary, positive collaboration between all project stakeholders including BMS, Jacobs and the numerous Subcontractors and equipment vendors. 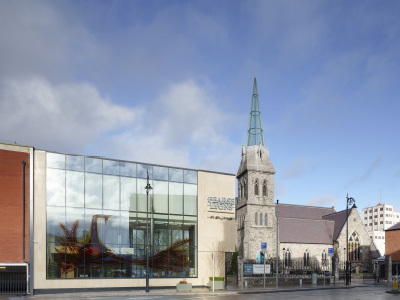 In November 2017, JJ Rhatigan completed a €3.25 million 13-month restoration and repurposing of a 17th century Huguenot Church, St Luke’s, on Newmarket Square, Dublin 8. The building has been transformed into a three-storey modern state of the art office, with two floors suspended from the roof. The most exciting and unique feature of this project was the suspended structure, where the first and second floors were fully suspended from the roof truss structure. This was achieved by using an elaborate Macalloy type hanging system. 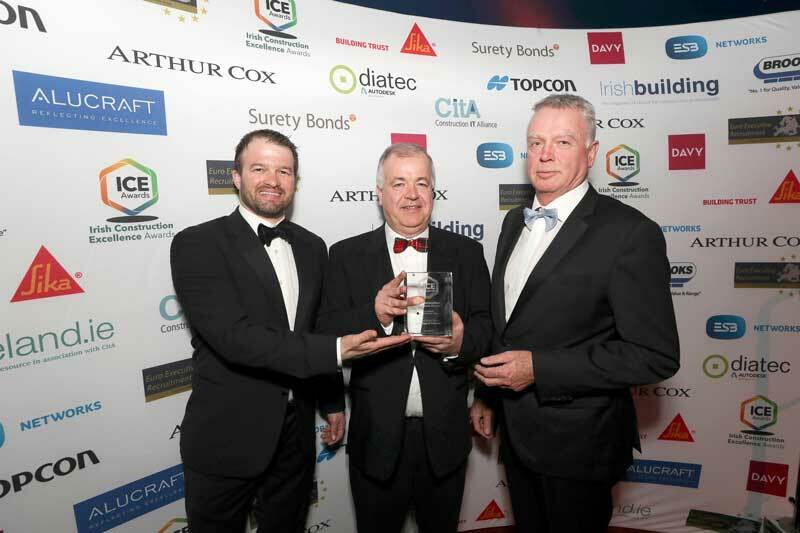 An important element of the brief on this project was that the Development had to be completed in accordance with St. Luke’s Conservation Plan prepared for Dublin City Council by Shaffrey Associates Architects. According to the document “The Conservation Plan is a process that seeks to guide the future development of a place through an understanding of its significance”. 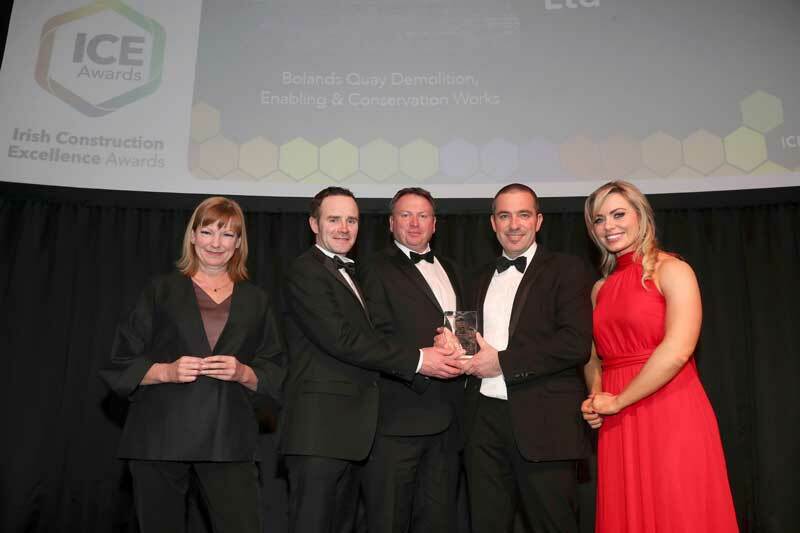 JJ Rhatigan’s dedicated specialist project team certainly did understand the significance of the task at hand and rose to the challenge of delivering on the key objectives underpinning the Conservation Plan. The new development more than accommodates each of these objectives exceeding the expectations of both St Lukes’ Partnership and Dublin City Council. Lead Engineer: Glan Agua Ltd. 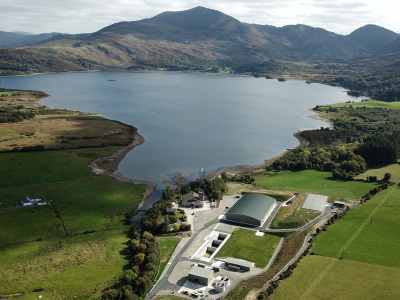 This €30 million project to develop a new water treatment plant (WTP) for Central Kerry has removed approximately 62,000 customers from the EPA’s Remedial Action List and will ensure a sustainable, safe and secure drinking water supply to communities. The project is located adjacent to Lough Guitane and the Finow River, part the Killarney National Park. The new WTP is amongst the largest in the country and will provide over 50 million litres of drinking water every day. The Project also included: Upgrade of intakes, including a hydroelectric power turbine, 15 million litres of water storage (about 6 Olympic swimming pools), process water treatment including recycling to conserve water and protect the environment & pumping stations & pipelines. Glan Agua were appointed as Design Build Operate (DBO) Contractor and worked in collaboration with the client throughout the project to foster innovation for the overall amelioration of the project. Construction commenced in April 2016 and was substantially completed within 24‐months, on budget and to a very high standard. The WTP now supplies the majority of Kerry’s major urban hubs, “Ireland’s tourism capital”. The Primary Care Centre bundle is a high-profile project for our client the Heath Service Executive (HSE) with sites spread across Ireland. 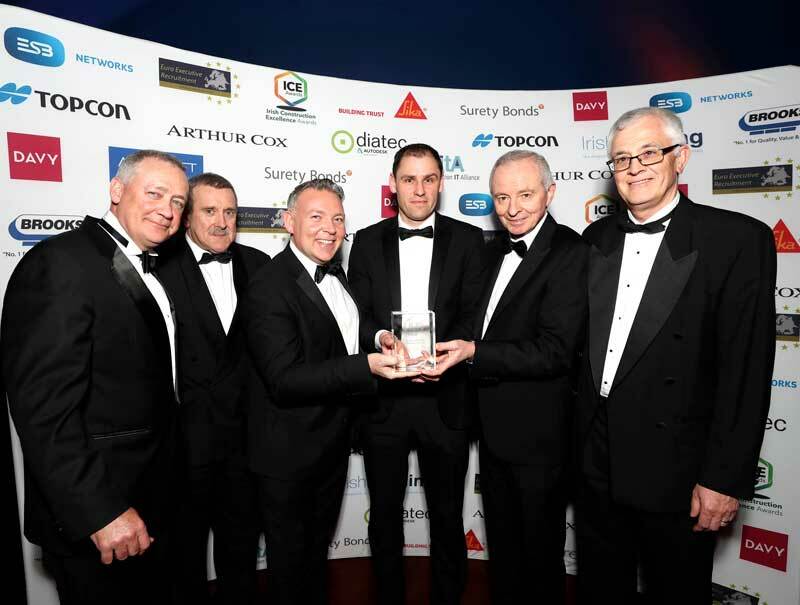 14 primary care centres (PCCs) were delivered as part of this Project nationwide, of which Waterford PCC is one of the largest. This project bundle was delivered for the HSE in association with the National Development Finance Agency (NDFA) as a Public Private Partnership (PPP). Such PPP enables the use of third-party capital to provide the funding for the development, an innovative method of delivering high quality primary care services under the one roof to these communities. 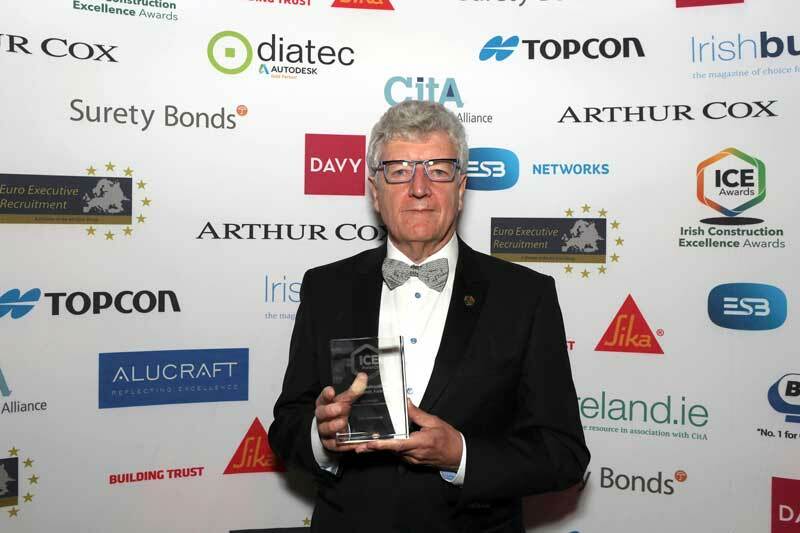 One of the main challenges and also a distinguishing success on the project was JJ Rhatigan management of the design process and the construction stages of both a Public Private Partnerships (PPP) and a Design & Build Contract. 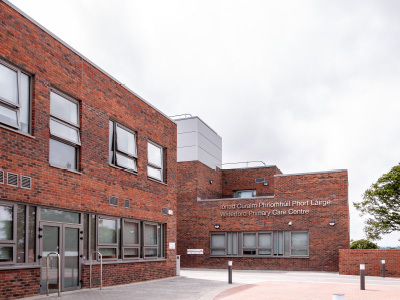 The Waterford Primary Care Centre Project consisted of the construction of a part 2 storey / part 3 storey healthcare facility (4700m2) situated on the grounds of the existing St Otteran’s Hospital, a live healthcare campus, in Waterford City. 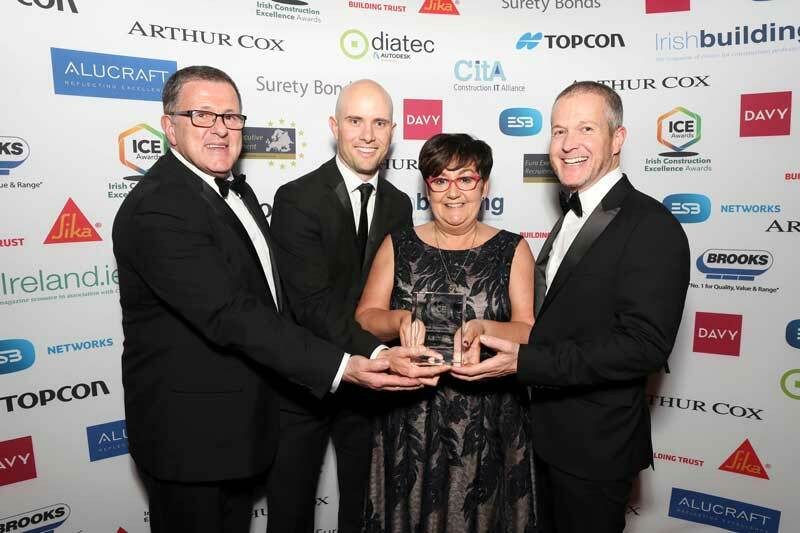 The development included a Grade A specification fit-out to facilitate a Physio Department, Dental Department, GP Department including X-ray facilities, Occupational therapy, Speech & Language, Mental health Department and early intervention. 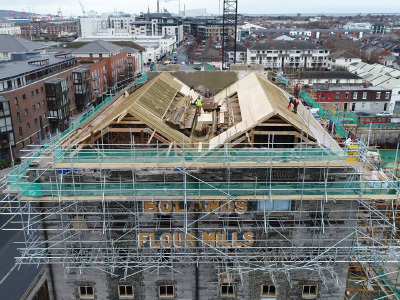 The Pearse Lyons Whiskey Distillery project involved the faithful restoration and conversion of the protected 18th Century St. James’s Church, including a new glazed steeple into a whiskey distillery. John Paul Construction also constructed a new 3-storey visitor centre and refurbished four adjoining properties to the front of St. James’s Church into tea rooms, conference rooms and support offices for the visitor centre. 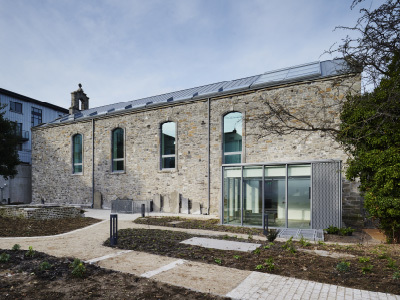 In Deirdre Lyons own words, this project was a labour of love with a clear vision to provide something very special from very ordinary terrace buildings and a neglected Church. 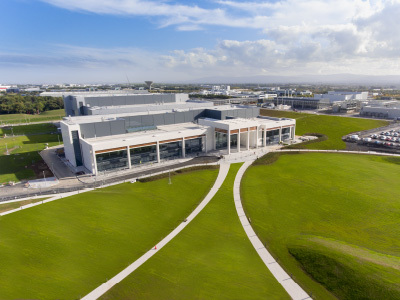 Alltech had the vision to surround themselves with a Design Team and main contractor who could transform that dream and vision into a reality. Located on Merrion Road, The Seamark Building (Block D), is part of the landmark award-winning Elm Park Development in Dublin 4. Consisting of 16,500m² of Grade A Office Space, the building was originally constructed to shell and core standard in 2007. Block D, an existing 8 storey building was planned for use as a hotel and hospital. John Paul Construction were appointed to reconfigure this empty shell into a spectacular commercial office space to a LEED Platinum rating. 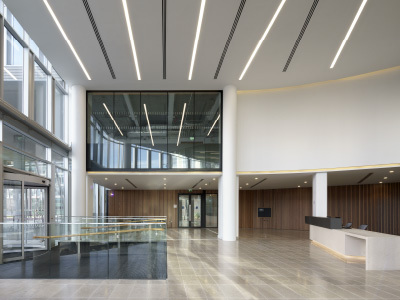 The project entailed major structural demolition and reconstruction of internal cores, upgrading the existing façade as well as high specification fit-out works throughout. The winter garden gave way to additional office space and there are two welcoming double height spaces to the reception areas. The breath-taking views of Dublin Bay prompted the naming of The Seamark Building. 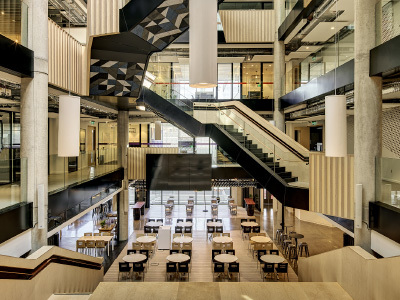 The design of the building allows full flexibility for a range of occupier requirements and can be split to facilitate two fully independent office blocks or combined to provide a single grand head-quarter building. 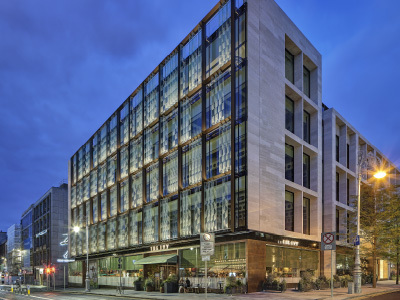 GLF Facades were appointed as domestic sub-contractors by BAM Building to design, manufacture and install a high-specification metal and glass façade to a new flagship commercial development on the corner of Dawson Street and Molesworth Street Dublin 2. 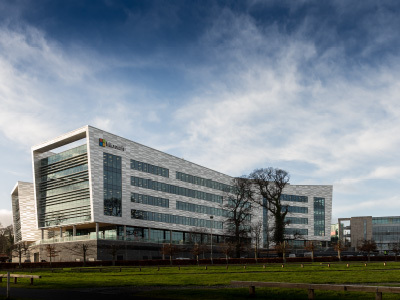 The Client was Green REIT (Dawson Street) DAC and the Design Team included Henry J Lyons Architects, Billings Design Associates and CSEA Engineers. A total of almost 3,000 square metres of metal and glass façade were delivered, ranging in different types from anodised aluminium curtain walling to bespoke structural glazing and patinated bronze cladding. The scheme also features bespoke glass fins with a triangular frit pattern which when lit at night, present a spectacular façade to Dawson Street. The scheme included almost 10 tonnes of bronze panels, a unique bronze entrance gate, a revolving door and architectural bronze entrance doors. 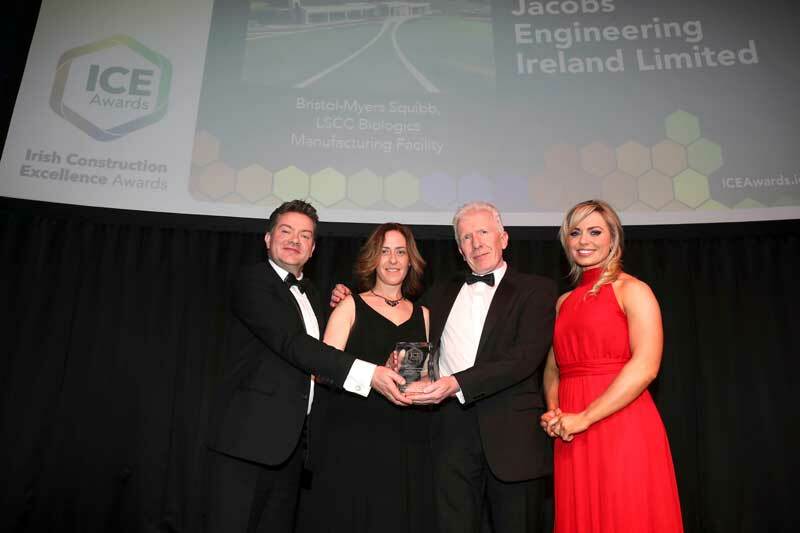 All façade design and engineering were carried out by GLF’s in-house personnel in Dublin. The facade was delivered on time and within budget while maintaining the highest standards in Health & Safety. Key challenges in terms of design, fabrication, finishing and logistics were successfully overcome to deliver a world-class building façade. Near Zero Energy Buildings nZEB will become mandatory for all housing stock in the near future. 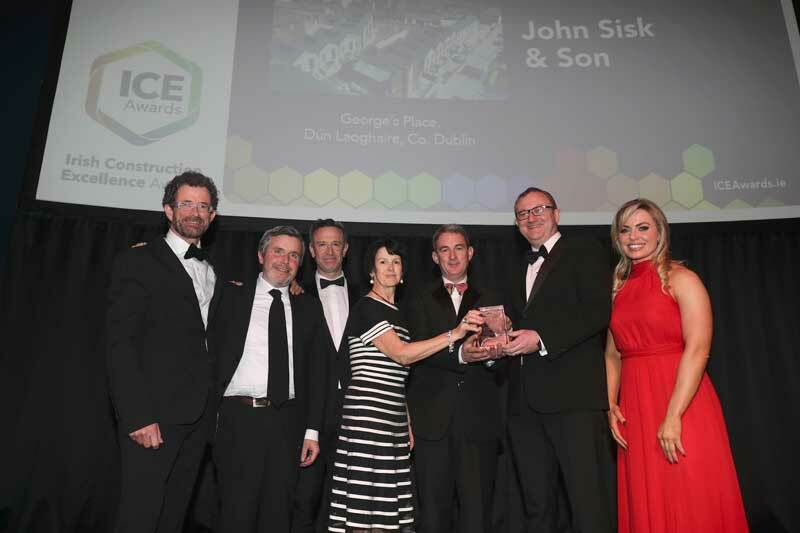 With this in mind the house building arm of John Sisk & Son “Sisk Living” have completed a prototype development of 12 highly energy efficient homes for DLRCC. While these homes exceed the requirements of nZEB, they demonstrate what can be done cost effectively, to a rapid build programme on sites with confined space. 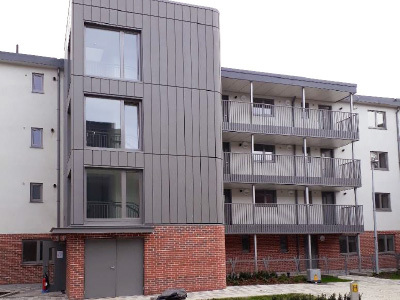 George’s Place, Dún Laoghaire is a development consisting of 12 social housing units delivered under the Rapid Delivery Framework and designed and constructed to a BER A1 rating. 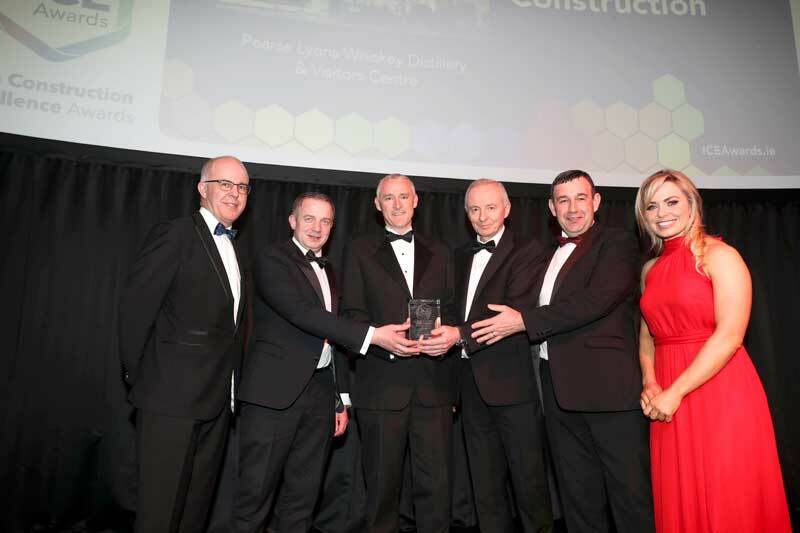 The project was administered under a Design and Build Public Works Contract (PW-CF2) by DLRCC. These homes are designed and built to a very high specification, taking advantage of some of the latest innovations and technology in house building, resulting in ultra-modern, energy efficient and high quality homes. The site was formerly an under-used council yard and has three existing protected structures along its boundaries. The project is an example of how we can re-generate under-utilised urban sites and re-create them into much needed sustainable urban neighbourhoods and developments. In early 2016, I set out to deliver a project for our client that would delight them, satisfying their needs in terms of safety, quality, cost and programme. 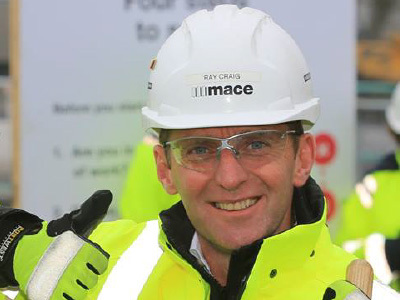 It was also important for me to demonstrate to our client that they were right to trust Mace to construct their next European data centre projects in Ireland. The ultimate aim was to make Mace the number one partner of choice for our client for all data centre projects in Europe. We have now successfully completed Phases 1 and 2 on this project, and are well on course to deliver Phase 3 on time and within budget, with the next two Phases about to commence in 2019. Our client now fully trust the Mace team I have assembled, organised, trained and mentored, to deliver on all of its promises. My key to success has been a continual Pride, Passion, Energy and Enthusiasm; compounded with a relentless attention in harnessing the talents of a high performing team to deliver exception outcomes in the eyes of our Client. The new RA is the product of a major redevelopment that links the 17th-century mansion on Piccadilly with a grand 19th-century former university building. 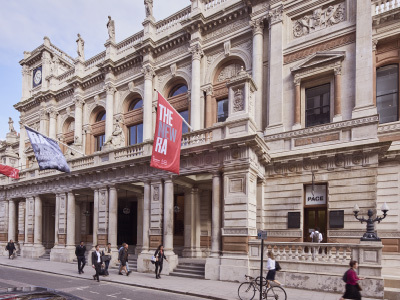 The new campus allows visitors for the first time to wander freely from Burlington House to Burlington Gardens, while opening up new spaces for making, exhibiting and debating art and architecture. Since 1867, the RA has been based in Burlington House. Back then it was in an airy suburb at the edge of town, but today, it is at the very centre of a sprawling cosmopolitan city. In 2001, the RA purchased 6 Burlington Gardens, which sits directly behind Burlington House. A few years later, Sisk and the RA began work on a masterplan that would link the two sites, add more gallery spaces and include a brand new lecture theatre and learning centre. The new RA opened on 19 May 2018, in time for their 250th anniversary. 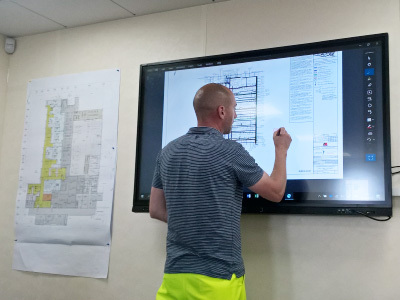 Digital Project Delivery is a Sisk Innovative Construction Process introduced into their business to demystify the stigma around BIM and increase productivity. DPD maximises the benefits through enhanced collaboration, minimising risk and improving productivity, efficiency and quality in our delivery throughout the whole lifecycle of a project. DPD provides a set of digital tools, procedures and guidance for Information Management (IM), Building Information Modelling (BIM), and Innovative Technology underpinned by the amalgamation of our people, tools and technologies and management processes. Collen now has an agreed vision, through the Collen Safety Charter, which advocates continuous improvement of OHS across its projects, as the company strives to be an industry leader in safety. The Collen Safety Charter provides the foundation for a cultural shift in the way project delivery teams and supply-chain view OHS and injury prevention and allows the project leadership to showcase their commitment to this new set of behaviours and attitudes. Collen recognises the importance of integrating the OHSMS into the company’s core business processes and their OHSMS is embedded within Collen’s business rather than existing as a sub-system. 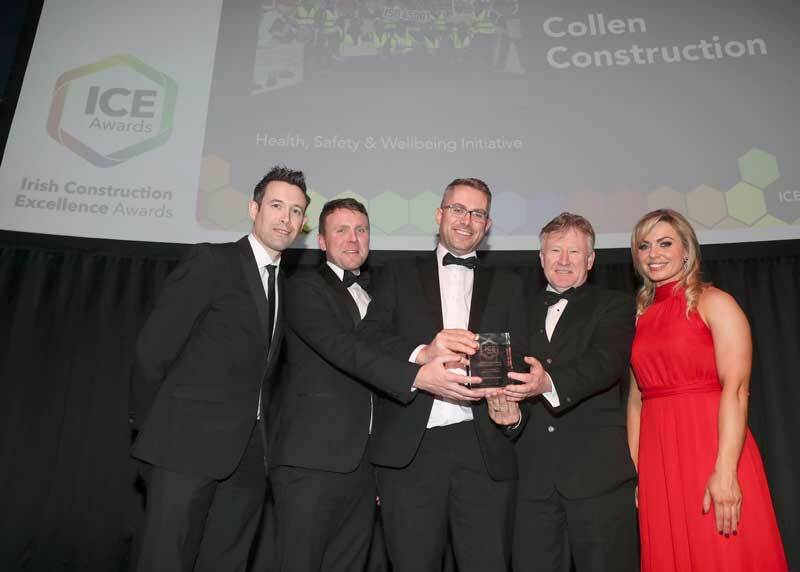 Collen supports a culture of safety leadership, which is inherent in every department within the organisation and allows everyone to feel accountable for safety. At Collen, workers are encouraged to identify unsafe conditions and behaviours and are comfortable intervening to correct them through clearly defined processes that promote disclosure. 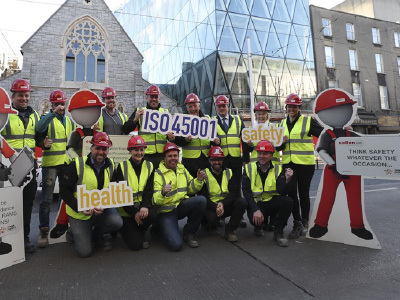 OHS is a key aspect of strategic planning within Collen and that accreditation to ISO 45001 will drive OHS to the next level in line with longer-term strategic goals. With Collen now active in various European countries, an internationally recognised OHS accreditation will help it deliver the highest OHS standards wherever it operates. 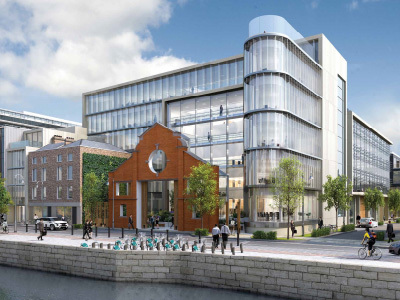 1-6 Sir John Rogerson’s Quay (1SJRQ) is a mixed-use development of 2 retail units and 10,487m2 office space, spread over 6 floors overlooking the river Liffey. The third phase in an overall redevelopment of the area by the client, works also include a reinstatement of cobbled streets, additional granite kerbs and footpaths, and new landscaping to the streetscape. 1SJRQ, with its neighbouring buildings, the Observatory, and 1 and 2 Windmill Lane have re-branded Dublin’s SOBO district. 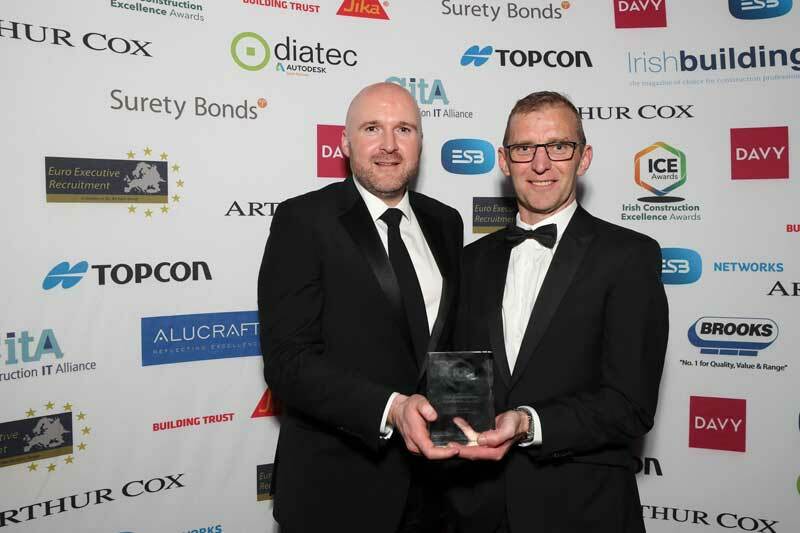 Following the success of 1 Windmill Lane, delivered in 2018 by JPC to a BIM Level 2 standard, the Client chose to use the BIM processes on the Sir John Rogerson’s Quay project. 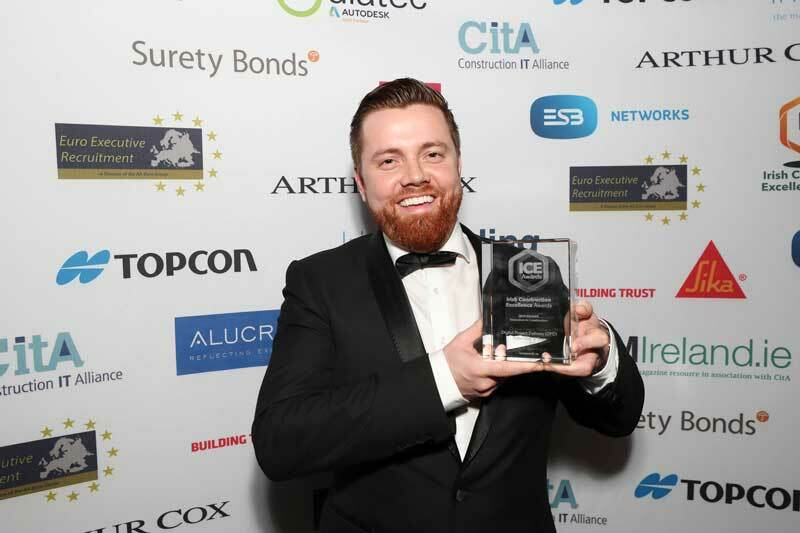 The John Paul Construction BIM management plan, which has been awarded tier 1 BSI kitemark for design and construction, was implemented to achieve the deliverables set out by the client. JPC created a collaborative environment where the project team can share and manage documents and RFIs. Using innovative processes, the company successfully coordinated the project prior to construction using BIM tools. JPC delivered the client a detailed asset information model which was to be data rich with valuable information. Technological University Dublin’s postgraduate suite is a unique offering both in Ireland and internationally. It has been specifically designed in consultation with industry to meet its needs; needs which are continuously monitored and which inform the programme’s annual re-appraisal and content update, as well as this session’s 5-year review. 100s of graduates have gained or re-gained employment, and upskilled in new areas, resulting in personal, organisational, and sectoral improvement, digital transformation, and increased excellence. 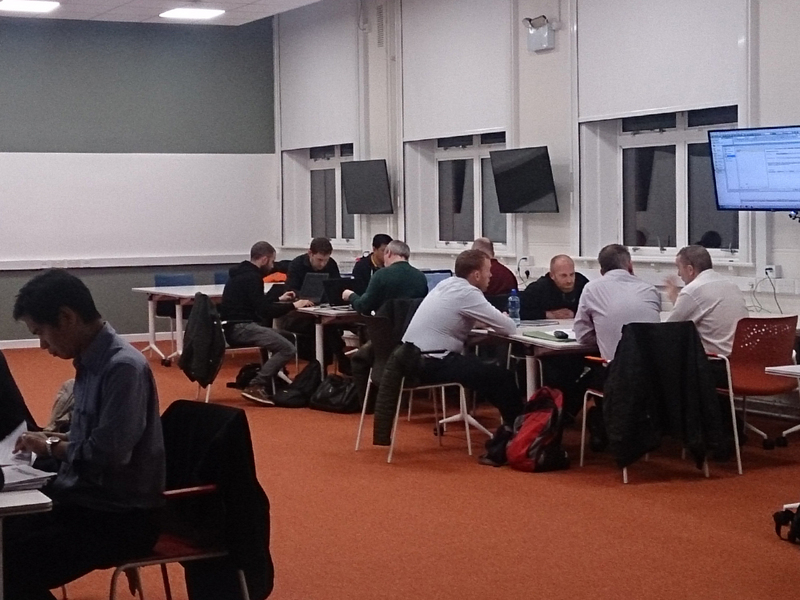 Technological University Dublin’s teaching staff are a mix of industry practitioners with local and international expertise, and full-time academics who are both expert in BIM and in education and pedagogy. When possible, academic/industry team teaching is used to provide the best context and experience for students. 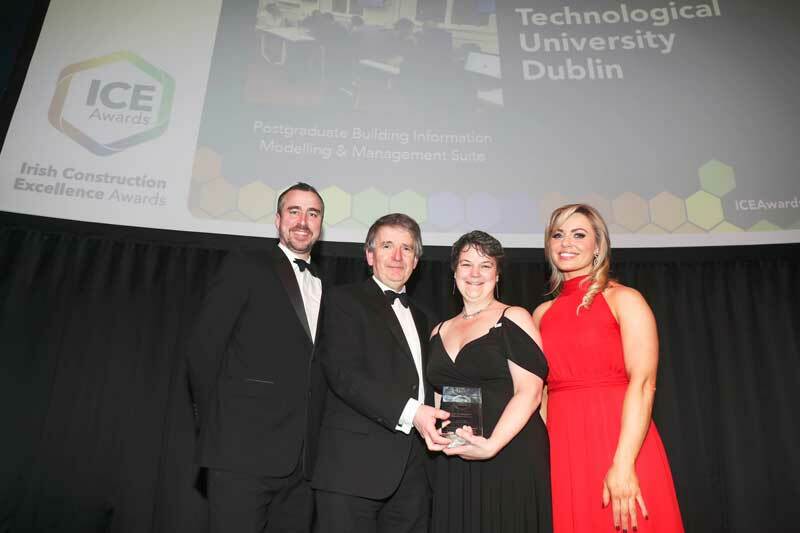 Technological University Dublin has invested significantly in its physical and virtual learning environments, and has partnered with industry-leading hardware and software providers and manufacturers to deliver excellence for students. Technological University Dublin is committed to Continuous Improvement of the programme and its delivery; and to working increasingly closely with the sector as it transforms digitally to meet local and global challenges, including improvement in energy performance of buildings, meeting the UN’s Sustainable Development Goals, and operating in a Circular Economy. Lintels are in most cases the most significant thermal bridge, meaning lintels can have an important impact on the overall thermal performance of a building. Keystone has developed the Hi-therm+ lintel to offer a simple solution to thermal bridging over door and window openings. 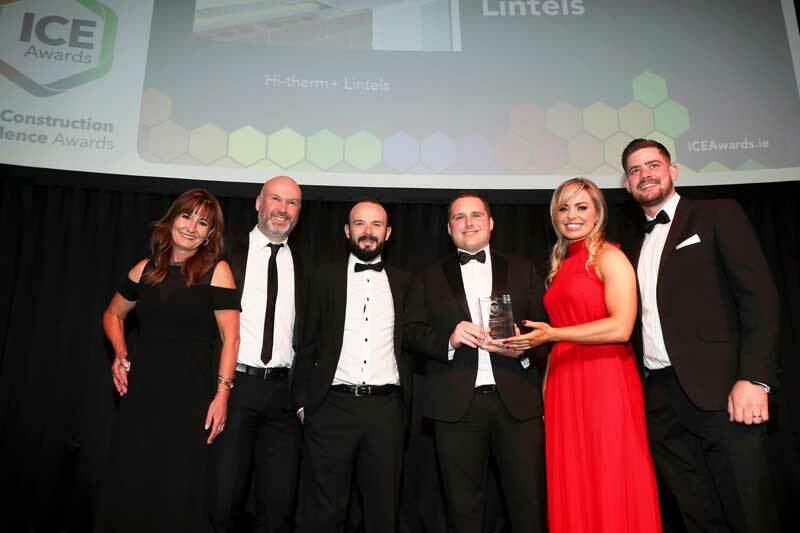 The Hi-therm+ lintel is a patented innovation based around introducing a polymer element into a steel lintel. This creates a powerful thermal break which dramatically reduces thermal bridging through the junction with beneficial cost and performance outcomes. 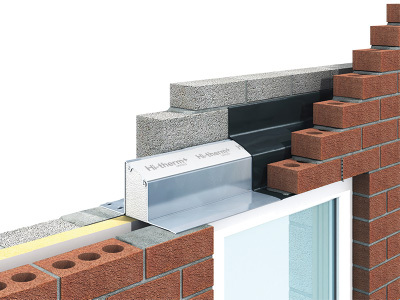 The use of the Hi-therm+ lintel provides an easy to use solution which helps improve the SAP ratings and helps to eliminate other more costly bolt on renewables which often require maintenance or specialist installation techniques. It is easy to handle onsite which is an increasingly important benefit and addresses the challenge of maintaining good detailing when skill levels are under pressure and introducing specialist techniques can be problematic. Hi-therm+ offers a fabric first solution to reduced carbon emissions. Hi-therm+ offers the simplicity of a one piece, structurally superior top hat design, creating stability during the build process. Hi-therm+ is the only BBA approved one-piece lintel that reduces thermal bridging. The completion of Phase 1 of Dolphin House regeneration marks the first step of an ambitious plan to regenerate the 1950’s complex. 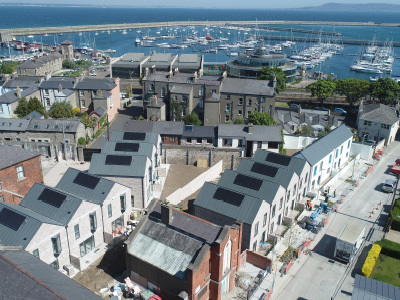 The first phase, comprising 100 units mixed between retrofit and new build is one of the largest housing developments undertaken by Dublin City Council in recent years. 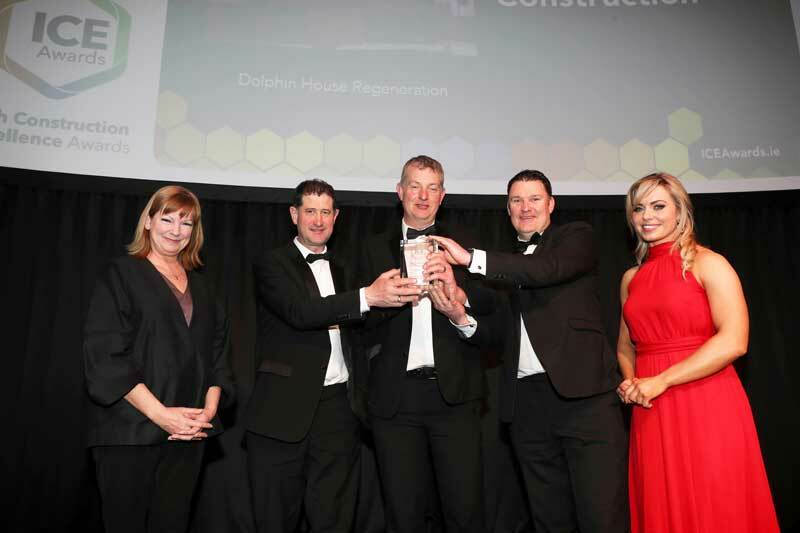 Indeed, the retrofit element of the construction involving the transformation of 72 existing units into 63 modern apartments in compliance with the current building regulations is without question the largest retrofit project undertaken by the council and is serving as a template for other similarly planned projects. Blarney Castle is one of Ireland’s most iconic buildings, a partially-ruined, Late Medieval stronghold, 90 feet in height, at the top of which is found the Blarney Stone, a tourist destination of world-renown attracting nearly half a million visitors annually. Such an ancient structure necessitates care to ensure both its longevity, but also its safety. 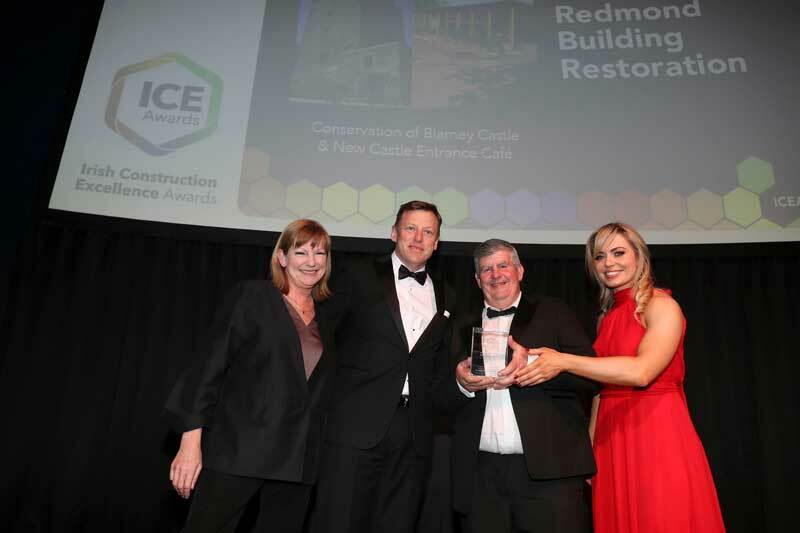 RBR were employed by the Blarney Castle Estate to conserve the exterior of the castle to best practice standards. The works were carried out on a phased basis, over several winters, while tourist numbers were at their seasonal lowest, though the castle remained open throughout the works, necessitating cooperative arrangements between RBR operatives and those of the Castle to protect the positive visitor experience. 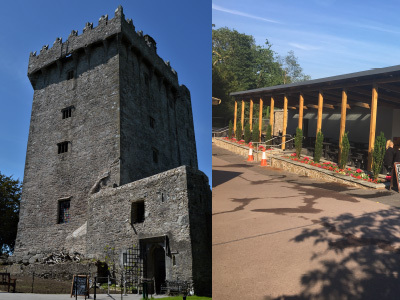 Café: A new café and rest room facility was provided at the main gate of Blarney Castle. Works could only start once the tourist season was slowing down in late Autumn 2017 and to be finished before levels increased again in Spring 2018. The arrival of Storm Ophelia and the worst winter weather seen for many decades did hamper production and test the mettle of those on and off site. The Client’s needs were sympathetically translated into designs by Southgate Associates and these were executed by RBR and the excellent team of Specialist Sub-Contractors and Tradesmen including conservation masons and joiners. Materials incorporated into the stone walls were to replicate, insofar as was possible, those used in the iconic 15th Century Tower House that is Blarney Castle. The end result has done much to improve the visitor experience of thousands of tourists to Blarney Castle and Ireland in general. 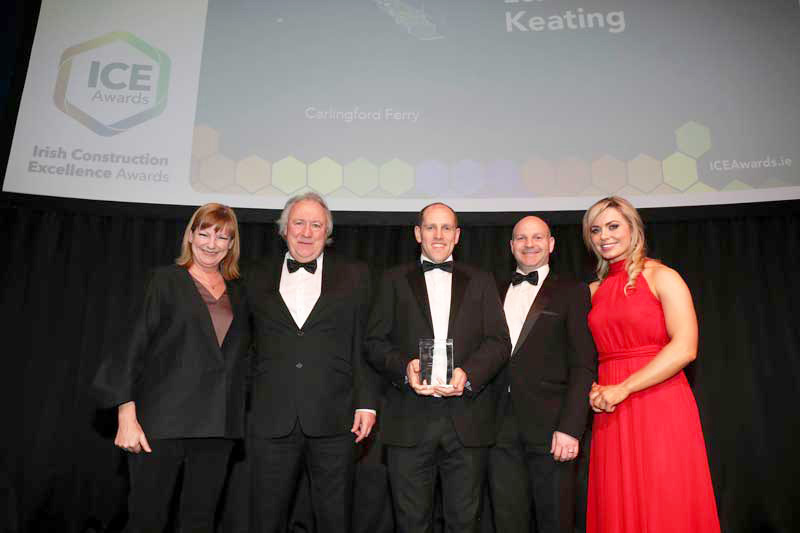 The Carlingford Ferry project is an all-Ireland engineering success story. The privately funded project has been sensitively engineered to provide a sustainable cross border tourism link across Carlingford Lough. Since its inception in 2007, the project team have worked tirelessly to identify and overcome many challenges to make this project a success. The ro-ro service by Frazier Ferries now provides a timetabled cross border ferry service for up to 44 cars plus passengers. 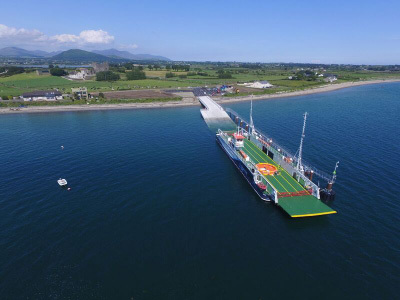 Two new terminals at Greenore, Co. Louth and Greencastle, Co. Down provide the infrastructure of the new service. The service provides an alternative to the 50km road trip and strengthens ties between two communities North and South of the border. Each of the terminals has a unique design in response to client requirements, environmental considerations and public consultations. The project adds to the significant portfolio of marine works that are being undertaken by our domestic contractors, consultants and suppliers. This privately funded project was delivered to an extremely high standard with a challenging programme in a challenging environment. 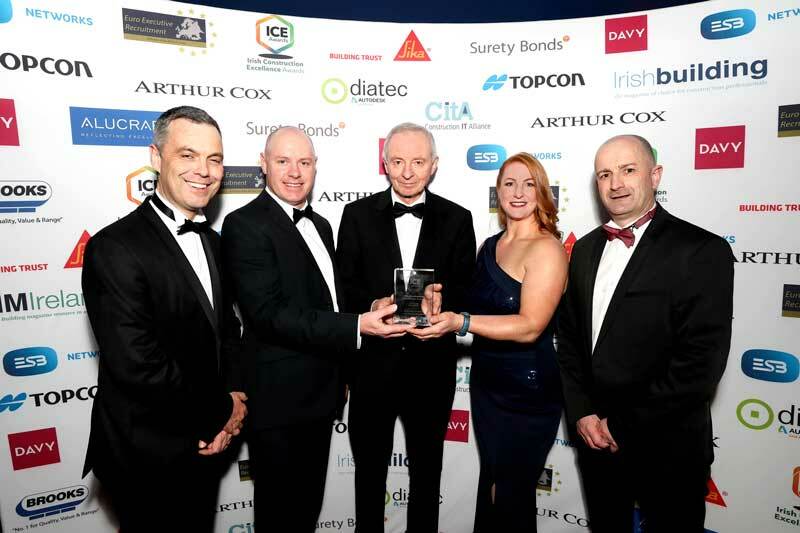 Not only is this project a benchmark in Irish Engineering but the project shows how Irish Engineering can contribute positively to local communities. The project is a milestone in Irish coastal construction as it changes the Irish-UK border. The project involved the demolition and removal of several in-situ concrete structures along with 3 no. substantial concrete silo structures up to 55 metres in height, the dismantling and salvage for re-use of the old factory building, the design and installation of elaborate temporary works support system to retained structures, the design and erection of scaffolding to most facades, the design and fabrication of a cantilevered steel protection apron over the Grand Canal adjoining the works, to safeguard the canal wall and basin. The enabling works package included the installation of a secant piled wall to the perimeter of the full site together with associated supporting anchors and temporary propping to secant wall to allow for the bulk excavation and disposal of 45,000 cubic metres, the basement excavation reaching a depth of 10 metres.